Comics are similar to soap operas in the way that superheroes get around. Superheroes date tons of other people, mostly other heroes. So, when these relationships get serious enough, the wedding bells start to ring. 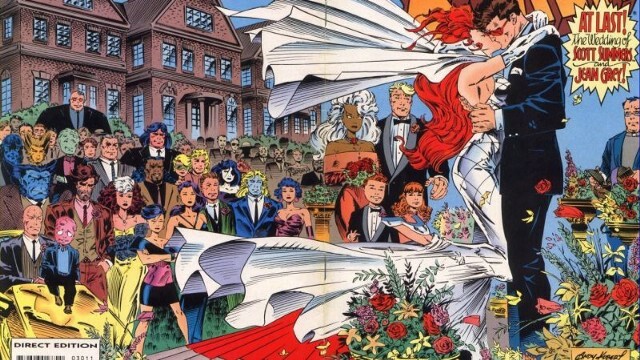 And with Marvel and DC each having a major wedding recently, I thought it time to look at some of the most famous comic weddings of all time. The Fantastic Four are Marvel’s first family, and that’s not just because all the members are close. With the marriage of Reed and Sue, that means that the Thing is the only unrelated member of the team. Either way, this wedding has lasted the longest of any on this list. And with the upcoming Fantastic Four series showing that Franklin and Valeria Richards will be on the team, the Richards family will continue to stand the test of time. Peter Parker has always had two main love interests, those being Gwen Stacy and Mary Jane Watson. Well, considering the former was killed by the Green Goblin, Peter only really had one option. While the wedding issue itself wasn’t great, it was nowhere near as terrible as the end of this wedding, that being in One More Day. That’s the classic story where Spider-Man sells his marriage to the devil to save his dying Aunt. We don’t talk about that story much. When it comes to X-Men relationships, none are more famous than that of Phoenix and Cyclops. The wedding issue between these two did something crazy for a 90’s comic, had no action. There’s no major fight against Magneto or the Juggernaut, just helping Scott and Jean get ready for their marriage. Seeing these two finally tie the knot after years of flirting is a great moment, until you realize that as soon as Jean died, Scott almost instantly started dating Emma Frost. 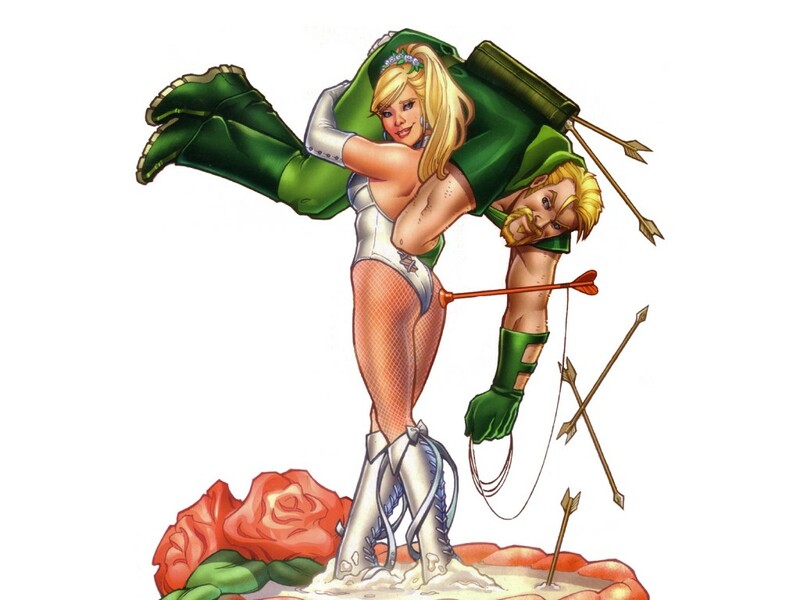 While Phoenix and Cyclops had a marriage without fighting, Black Canary and Green Arrow had the complete opposite happen. 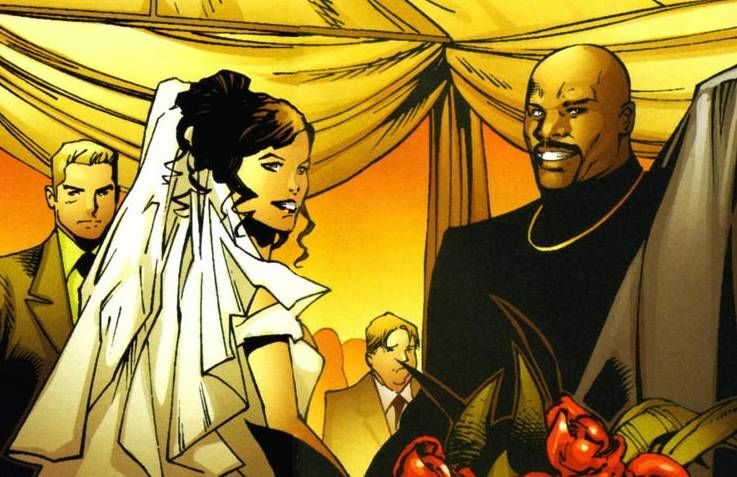 The marriage is interrupted by many villains, the main one being Deathstroke. 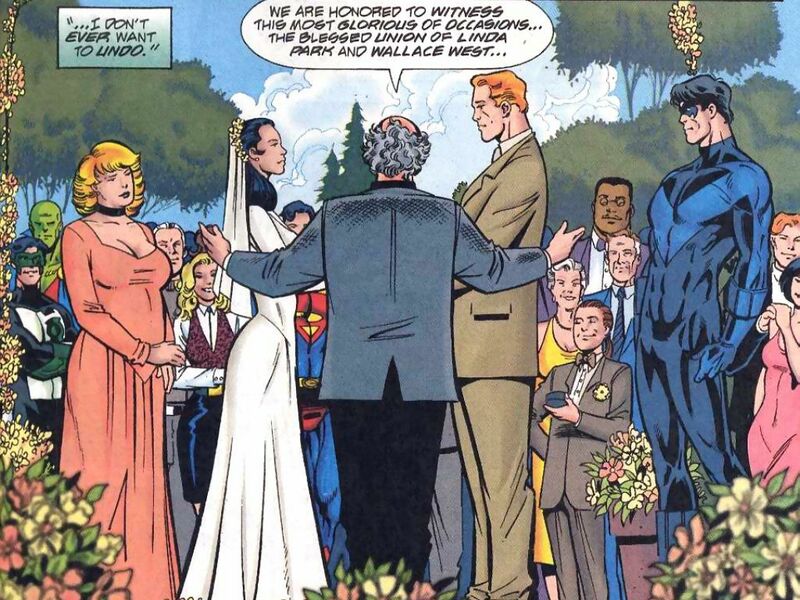 However, the wedding manages to go on, until Black Canary finds out that it wasn’t Green Arrow, but someone pretending to be him. Don’t worry, it gets resolved later on, with these two having a kid who ended up joining the Justice League. One of the most famous couples in all of comics, these two have been dating off and on again for 60 years. However, after a year long break up, these two finally tied the knot. But Superman had lost his powers from the Final Night event, meaning that he can’t protect Metropolis. But he later got his powers back after a successful wedding. When the DC Universe was rebooted in Flashpoint, it was shown that this Superman and Lois were also married. However, with DC Rebirth, pre-Flashpoint Superman and Lois returned with their 10 year old son, Jonathan Kent. Recently, Luke Cage and Jessica Jones have been thrust into popularity by having their own Netflix shows. While they’ve only been shown to be dating casually in the shows, they got married in the comics, with Stan Lee actually being the priest who marries the two. And later on, these two would have a kid, Danielle Cage. Her name is actually based on Daniel Rand, who’s also Iron Fist. Barry Allen and Iris West have been married to each other twice, once in the comics, and once on the CW. 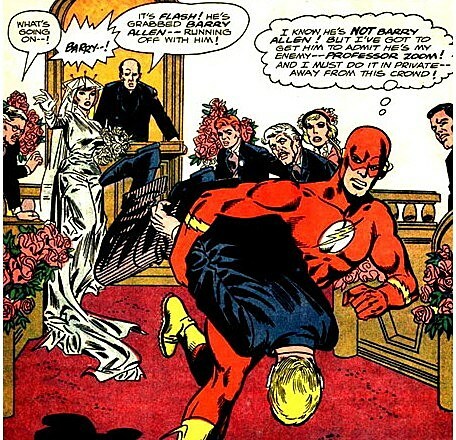 The comic wedding was the crazier of the two, as Professor Zoom switches bodies with Barry, and is only barely stopped from marrying her. Barry and Iris had two kids, Dawn and Don, who became known as the Tornado Twins. 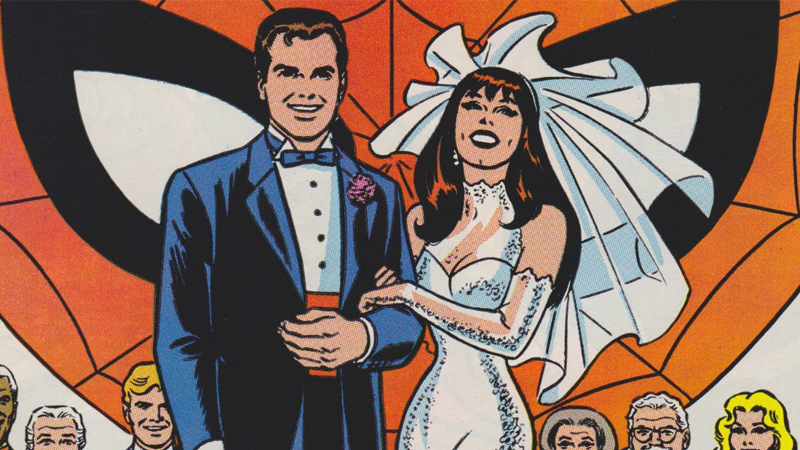 Wally West had one of the longest times as the Flash, and that involved getting married to Linda Park. While they were both worried about what would happen in the wedding, everything worked out fine. Wally and Linda also had two kids, Jai and Irey. The family soon travelled to the 30th century to protect themselves from danger. However, when Flashpoint happened, everything was erased, with Wally being able to return from the speedforce. So now, he’s having to make a new life with Linda, as well as trying to save his kids from the speed force. 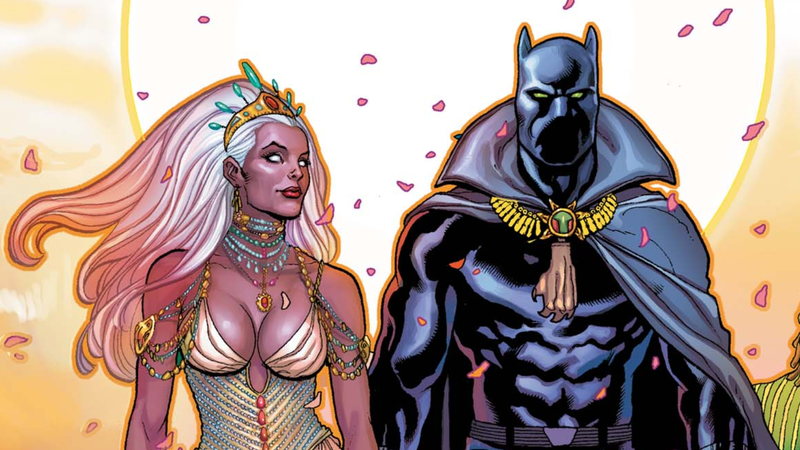 These two were childhood lovers, before T’Challa was a king, and while Ororo was still worshiped as a goddess. This wedding took place during Civil War, and provided a cease fire in the midst of the event. In fact, the wedding was so monumental that even the Watcher came down to see the wedding. However, the wedding was annulled in Avengers vs X-Men after Namor attacked Wakanda, and Storm still stood with the X-Men. 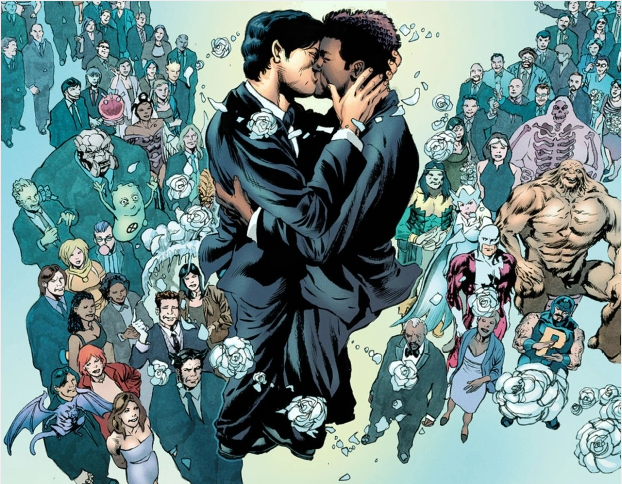 This was a monumental wedding, as it was the first gay wedding in comics, between two characters who had be openly gay for a while. Northstar first made headlines in 1992 by being openly gay, and made headlines again in this wedding. But the wedding wasn’t the only thing focused on, and the controversy surrounding the wedding was focused on in later issues. Scarlet Witch and Vision are one of the most famous Marvel couples, and that’s been heightened, at least somewhat, by their appearances in the MCU. But their wedding in the comics was just one of two in that issue. Yes, there was a double wedding, with those being side by side weddings. The other couple is Mantis and Cotati. However, this was awkward as Mantis had a crush on Vision, which would be later explored when Vision and Scarlet Witch divorced in the future. The second most recent wedding on this list, there was both a fake out and a real wedding all in one issue. 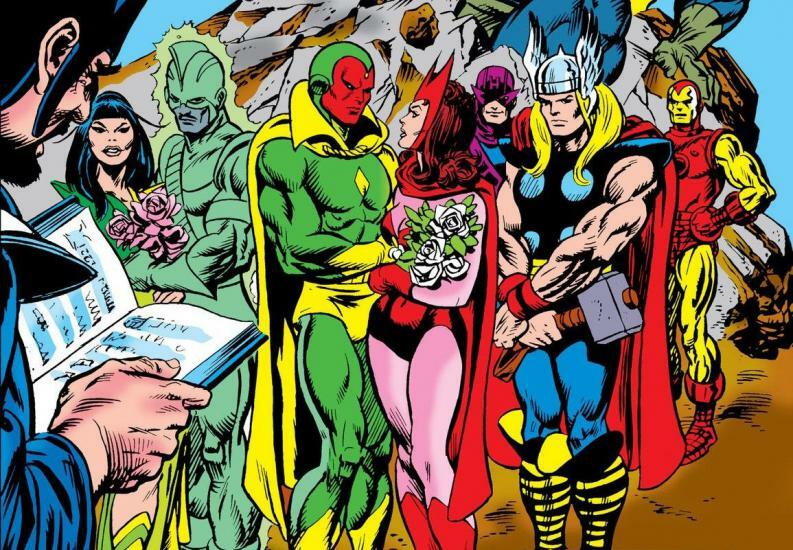 While the mainly advertised wedding of Kitty and Colossus didn’t end up happening, at least there was a real wedding. Not only does the wedding pay off on the Rogue and Gambit miniseries, but it also directly sets up the Mr. and Mrs. X series. However, the most recent wedding on this list had no payoff. 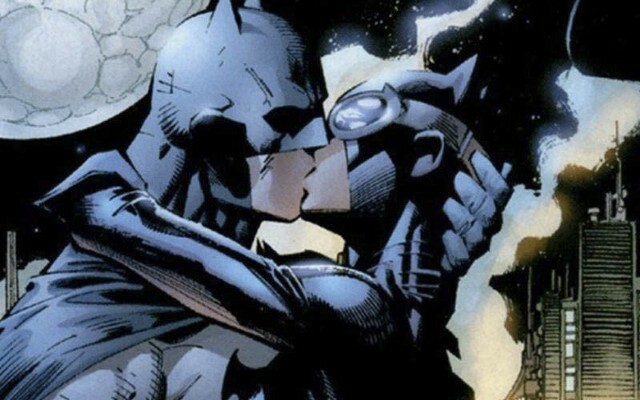 While the X-Men Gold wedding set up didn’t take up too many issues, the recent Batman series has been almost entirely about the relationship between Batman and Catwoman. So when Selina left Bruce at the alter, it felt cheap, especially because the reasoning that Bruce couldn’t be Batman if he was happy and married.